I have 235/35/19 on my 05 MK 5 GTI. What psi should I be at? 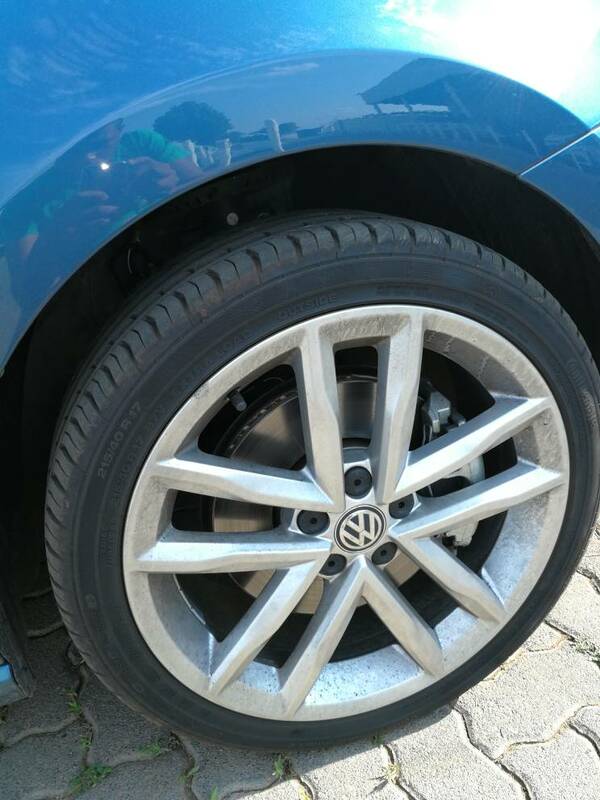 I'm looking to fit new tyres on my MK7-R. it's stock. I've heard Bridgestone is the best? Can anyone advise me on the best suited tyre for my specific car? Highly recommend Pirelli P Zeros. Can you guys suggest me some good quality soft tires for my Toyota Sedan? I currently have 20' size rim tire of Yokohama Db series (top of the line). But although its completely soundless but I am not liking it anymore, only the first 1000 miles were very smooth. I am looking to change it. However, my dad has VW sedan and has Michelin tires installed, very smooth but I don't feel the grip on the road as compared to my tires. Yup got Michelin installed last week. Superb quality! One thing I noticed in these tyres is, they are quite hard than the Yokohama, I feel little bumps on the road. Which Michelins did you get? I recently had a problem with my mk5 1.9 Tdi. It just lost power and stopped. Some say it's turbo, others say it's thermostat any advise?. Tabiso, that is quite common on the mk 5 tdi. Have you tried changing your tyre brand to something a little softer? NHB_R wrote: Tabiso, that is quite common on the mk 5 tdi. Have you tried changing your tyre brand to something a little softer? Will try to look into changing the brand. Thanks for the advise. My apologies for writing where I should' have. It wasn't intentional. NHB_R wrote: Which Michelins did you get? hi guys i need some advice please. i have a very good offer to buy 17inch RS3 mags fitted with tyres. but the tyre are 225/45R17 with a pcd of 5x115. i what to fit them on my 2003 polo 9n and my pcd is 5x100. i need to know how do i go about this? will adapter work properly and aren't the tyre a bit too big? can i fit 205/40R17? and what are the pros n cons of such a set up? 17" RS3 wheels? I never knew they were even an option on an RS3? And they should be a PCD of 5x112, not 5x115. You'll have to get all the specs of the wheels such as ET, width, etc. to compare to your current setup, it is impossible to say whether they will work or not. My Megane uses 235/35/19 tyres and I've had Bridgestone RE050A, Pirelli P-Zero and currently Michelin PS2s. I can report that there isn't much difference in terms of grip, only really noticeable at the absolute limit. The Pzeros however was the loser from the lot purely based on the following: the wear is ubsurd (compared to the other two) and the sidewalls are extremely soft and prone to bubbles. Asking anyone who knows about cars and wheel alignment - at a reputable place I bring my car in for wheel alignment, they ask why I'm bringing it in. I say routine but the guy fishes and asks is it pulling to the side, I say, a tiny bit. says maybe I hit a pot hole, we all have hit pot holes. Then while I'm waiting this guy calls me over and says my wheel has moved back and if I take it to VW they will charge 18k but he will do it on the sly for 1k. I mustn't tell front office. I say let me speak to the finance department get back 2 mins later and it's done? I say I don't have money and take his number. Does everyone else also think this is a scam? Vic321123 wrote: Asking anyone who knows about cars and wheel alignment - at a reputable place I bring my car in for wheel alignment, they ask why I'm bringing it in. I say routine but the guy fishes and asks is it pulling to the side, I say, a tiny bit. says maybe I hit a pot hole, we all have hit pot holes. 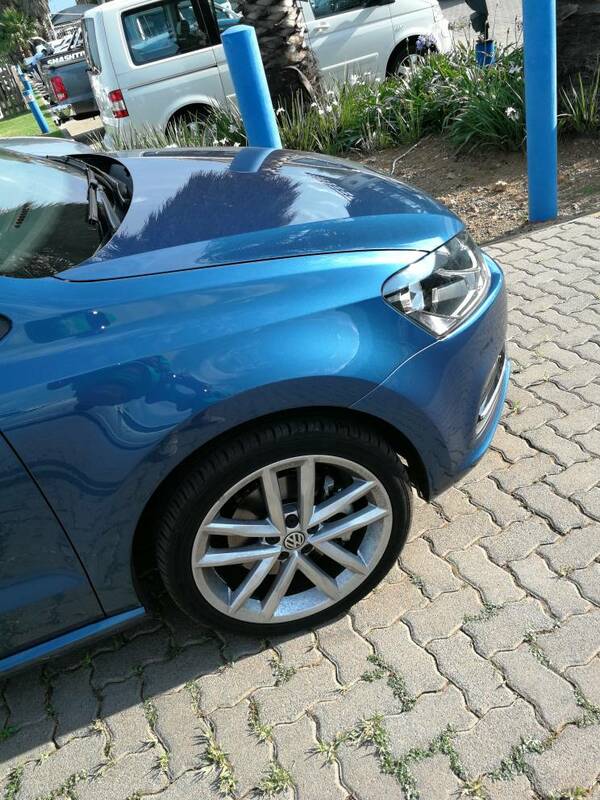 Then while I'm waiting this guy calls me over and says my wheel has moved back and if I take it to VW they will charge 18k but he will do it on the sly for 1k. I mustn't tell front office. I say let me speak to the finance department get back 2 mins later and it's done? I say I don't have money and take his number. Does everyone else also think this is a scam? Currently using ContiSportContact 6’s.... what an excellent tyre. Hi, I drive a polo 1.2 tsi trendline which came with 14" rims and I bought 17" mirabeau thst comes optional in a highline. From vw this rims is fitted with a 215/40/R17. My friend says I can also put 205/40/R17, can I? Wjat would you advise?